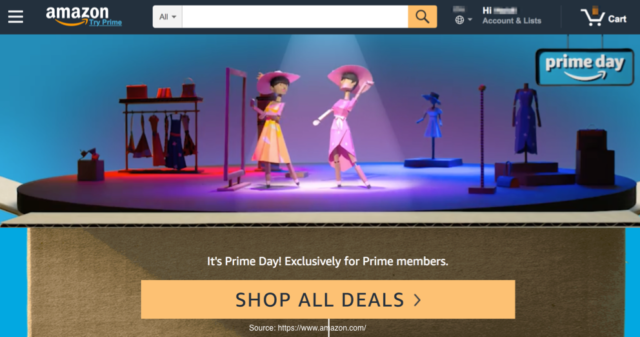 Amazon established Prime Day as a global retail event that attracts not only shopper attention but also competitive retailer participation with competitive offers. While Prime Day gives other retailers a jump on their 3Q2018 sales and the back-to-school season, they lack Amazon’s Prime subscription fees and built-in one step purchasing. Having watched Amazon first as a competitor while at Bertelsmann and as a marketer since then, I’ve gained important marketing insights. To appreciate Amazon’s killer advantages, don’t view Amazon solely as a retailer. While you can’t become Amazon—your business has its own DNA—you can enhance your results by learning from their successes. The key to Amazon’s Killer Advantages is their “constant improvement culture”. Continually test every element of your marketing offering to make it more effective at achieving your business goals. 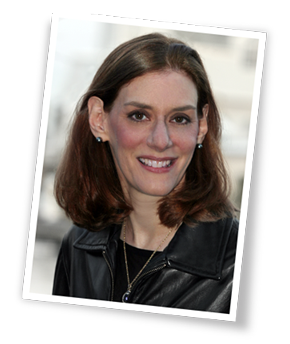 This requires the ability to track results from each marketing effort. Let’s look at 3 Killer Amazon Advantages and how you can translate them into marketing success in your business. 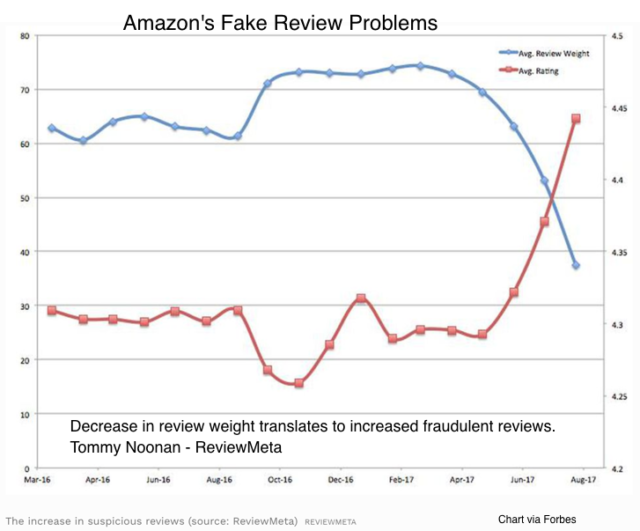 In a low trust world, customers trust Amazon because the company has earned it over time. Further, Amazon continues to reward customers for sharing information with them. Since its early days, Amazon has offered shoppers enough benefits to get them to login to their site via email pre-purchase. As a result, Amazon has greater control over reminder notices and shopping cart contents. 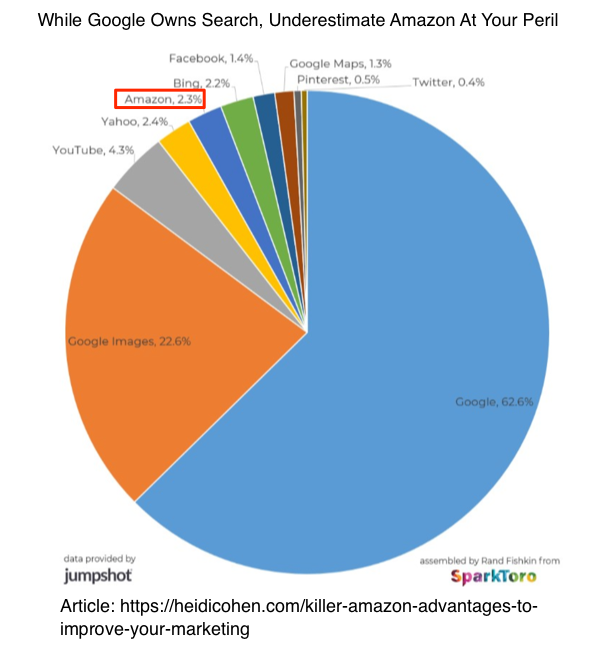 Key Killer Amazon Advantage: Reduces shopping friction. Provides shopping carts that their customers use as shopping lists. Buyers put things into the cart while they’re looking and decide later. While it allows Amazon to send targeted shopping cart reminders, it provides a way for families to review purchases. Further, Amazon’s ratings and reviews make it the granddaddy of rating and review sites. They’ve used their post-purchase email followups to gather customer insights which are trusted as a form of word-of-mouth marketing. Further, Amazon owns IMDB, Alexa, Audible and other content platforms that provide deep information about specific products. Key Killer Amazon Advantage: Creates shopping entryway. Amazon serves as a shopping search engine. 55% of shoppers start their buying research on Amazon, regardless of where they finally buy the product according to Survata data. But you can be hopeful since 70% comparison shop on another retailer’s site. Offers voice search via Alexa. Specifically Amazon accounts for about 90% of all voice shopping spend and 70+% of people who did a voice search last year used Alexa (data source). Provides third-party advertising opportunities. Advertisers can place their ads on product pages where shoppers actively seek product information. Unlike many major banks and other data-rich companies like Facebook, Amazon hasn’t had any major data breaches. Personal habits based on Kindle and Alexa ownership and use. Translation: Amazon knows more about you than Facebook or Google. The same probably holds true for your family, partner or the government! While most customers may realize this on some level, they continue using Amazon for the benefits they reap in return. Further, Amazon doesn’t sell this information. As a marketer, the closest you can get to customers is their advertising network. Key Killer Amazon Advantage: Increases purchase likelihood. Prime subscription handles shipping and handling charges. Despite covering real costs, shoppers always consider shipping and handling charges onerous. If you’ve got Prime, the likelihood you’ll look at Amazon and/or buy from them increases, even if you’ve already bought elsewhere! While these recommendations aren’t surprising or difficult, like Amazon, they require continuous attention to improvement. Let’s just state the obvious: This advice is easy to say but difficult to achieve since one misstep can hurt your firm or brand’s reputation. More importantly, building trust with your audience extends beyond your prospect, customers and fans. 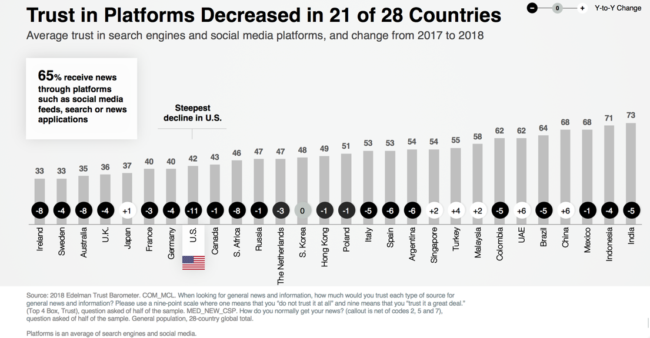 Your audience includes your employees, investors, peers, and social media followers. Treat and respect everyone your business engages with. Make this part of your core values and policies. Provide training on how to show respect including manners and other related issues. Make this part of your hiring, on-boarding and regular refresher courses. A one day event such as Starbucks recently held isn’t sufficient. Avoid divisive topics especially politics. This is a no-win for most businesses. Further, make it a policy for your employees while they’re working and communicating for your business. Regardless of your business-type, your buyers want product detail. 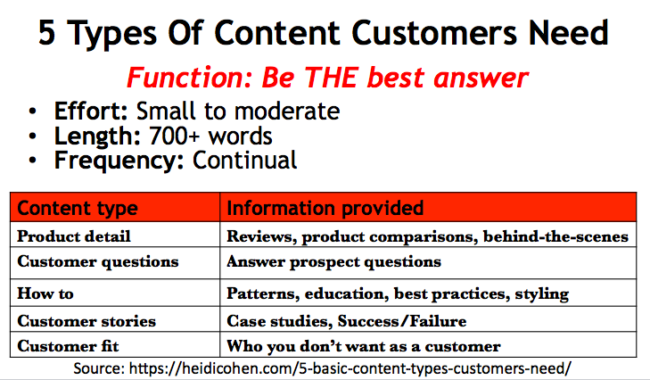 I consider product information to be one of the 5 core types of content. Amplify your content’s reach using other people’s platforms. 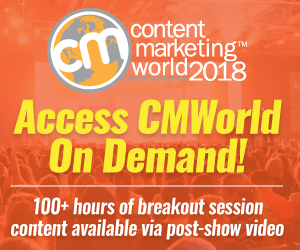 Combine guest posting where you create unique content and syndication where you republish existing content with a link back to your original post. This includes Medium and LinkedIn Pulse. Publish books and ebooks on Amazon. 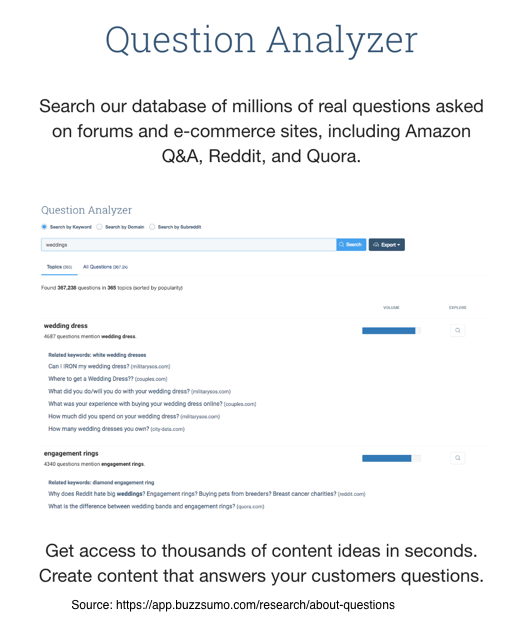 Get additional attention for your mega-content on Amazon. Even if you’ve sent GDPR emailings confirming audience email permission and highlighting your privacy policies, you need to take a serious look at your data security. It’s not just about protecting your customers—you have to protect your business! Without formal processes and software, your customer files and related information may be stored in personal contact applications of your sales team and/or on third party suppliers like your email provider. This puts your customer information at risk not only from a cyber hack but also from someone who leaves your firm. Get your technology and analytics teams to ensure data security. Hire specialists where appropriate. If you’ve modified purchased software, it may no longer be secure or security updates may not work. Encourage prospects and customers to share their email and other information with you. Offer them something they view as valuable. 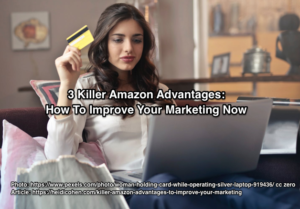 While Amazon possesses killer advantages compared to the average marketer, you can still improve your results by learning from Amazon. Start by integrating continuous testing into your marketing to improve performance. To this end, building tracking into each piece of marketing content and messaging that provides measurable results. As you’re doing this, start to build trust with your company, provide deep product information, and make your company data secure. To become the powerhouse it is today, Amazon took many steps and missteps. Don’t let that stop you from moving forward. Tags Amazon, BuzzSumo, Marcus Sheridan. Bookmark the permalink.